What Cute Items From AliExpress Can You Get In January? If you’ve read my blog before then you’ll more than likely be aware that I absolutely love AliExpress. The site is home to thousands of cute affordable products waiting to be discovered. From jewellery, clothes and beauty products to homeware, gadgets and toys. You can pretty much get your hands on anything. I personally have ordered lots from the site including Rose Gold Oval Brushes, Sigma Brush Dupes, MAC Eyeshadow Brush Dupes and a Professional Makeup Brush Set that set me back less than £3. In December I went on a bit of an AliExpress spree, mainly ordering jewellery and accessories and today I thought I’d show my goodies. Recently I’ve been really getting into reading manga with Sailor Moon and Cardcaptor Sakura being firm favourites. So it’s no surprise I bought quite a few themed items. The first of the cute items from AliExpress that I purchased was the Sailor Moon Purse. This is freaking adorable and surprisingly well made. Other Sailor Moon items I purchased included Sailor Moon Charm Bracelets, Sailor Moon Inspired Earrings and some adorable Black Luna Earrings. After that, I also purchased a Cardcaptor Sakura Purse because you know a girl can never have too many purses. I also ordered myself a Cardcaptor Sakura Necklace which is dainty but utterly sweet. Other cute items from AliExpress that I picked up included Pink Donut Earrings, Resin Star Earrings, Glitter Mermaid Tail Earrings, a Layered Star Moon Choker and a couple of Heart Chokers. I even picked up a pack of five pairs of Fake Eyelashes for less than a pound. Not only that but I got a Mermaid Tail Makeup Brush Set for around £3. One of my favourite purchases though has to be my glitter phone case. For Christmas, I received a Xiomi Redmi Note 4 from Santa Claus and soon after I had a nosey on AliExpress for cute cases. 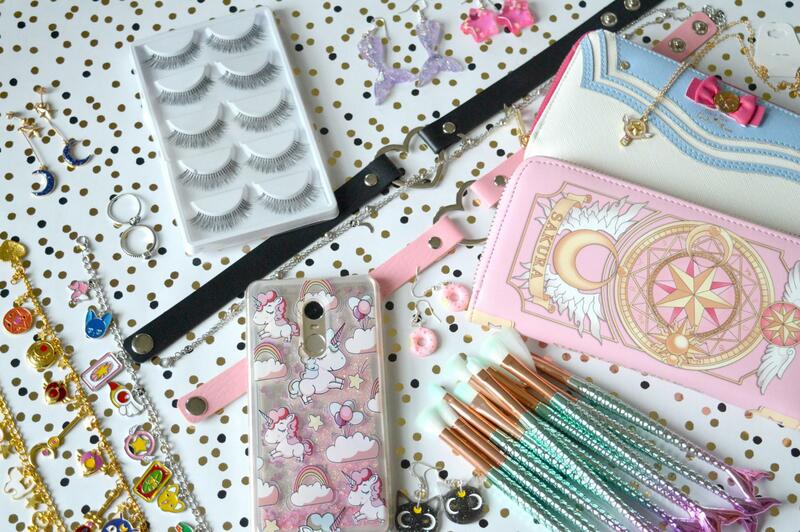 There are plenty on offer but my Glitter Unicorn Redmi Note 4 Case really is something else. It contains quicksand liquid glitter so if you shake the phone case, the glitter slowly falls and moves around. It’s actually quite mesmerising if I’m honest. 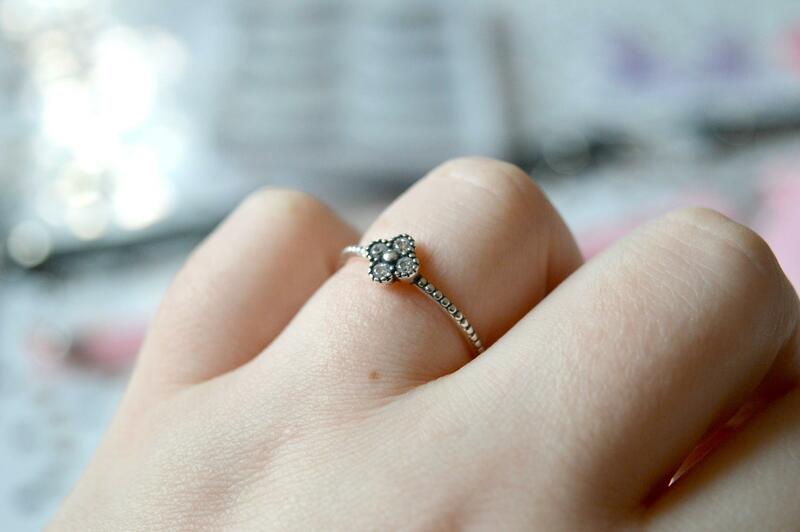 I’ve always quite liked the look of Pandora rings. I mean they’re super dainty, delicate and cute. However, I’ve always felt like for the price they’re not really worth it. However, when scrolling through AliExpress I came across a manufacturer selling almost identical rings from less than £4 a pop. So I promptly ordered myself a couple and eagerly awaited the arrival of the sterling silver jewellery. 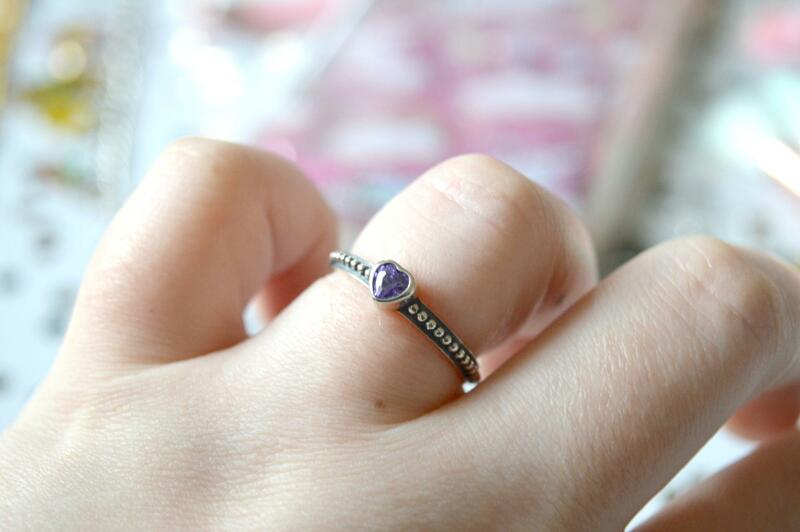 Soon enough I had my hands on a Purple Heart Pandora Ring Dupe and a Clover Pandora Ring Dupe. I ordered both in a size 8 which is the equivalent to a UK size P. And you know what? I bloody love both. They’re extremely pretty and well made. They came in their own nice little dust bags and since receiving them I’ve worn them a hell of a lot. And no, they haven’t turned my fingers green. They’re just extremely lovely little rings. Have you purchased any goodies from AliExpress? Previous Post Is The Soap and Glory Advent Calendar The Best Beauty Option?